So. Aline and Mike are actually getting married, well, tomorrow. Totally. 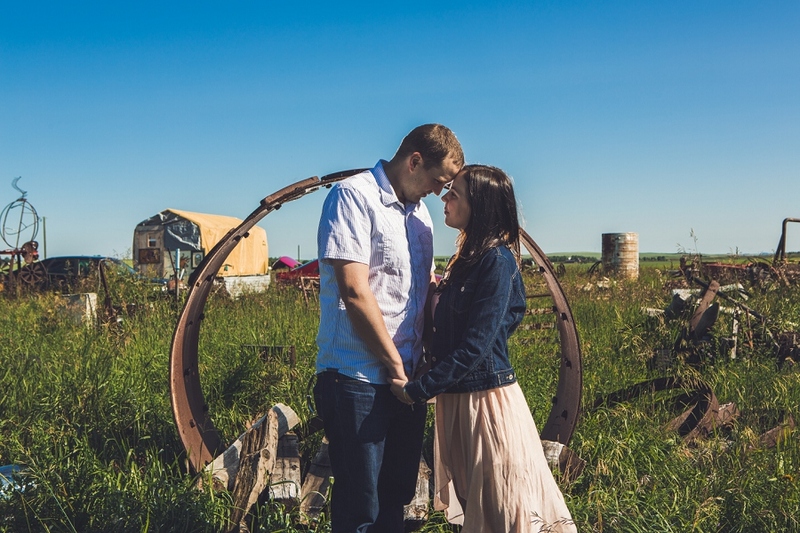 But before that, they had an awesome rustic engagement session courtesy of a very cool property I found just on the outskirts of Calgary limits. 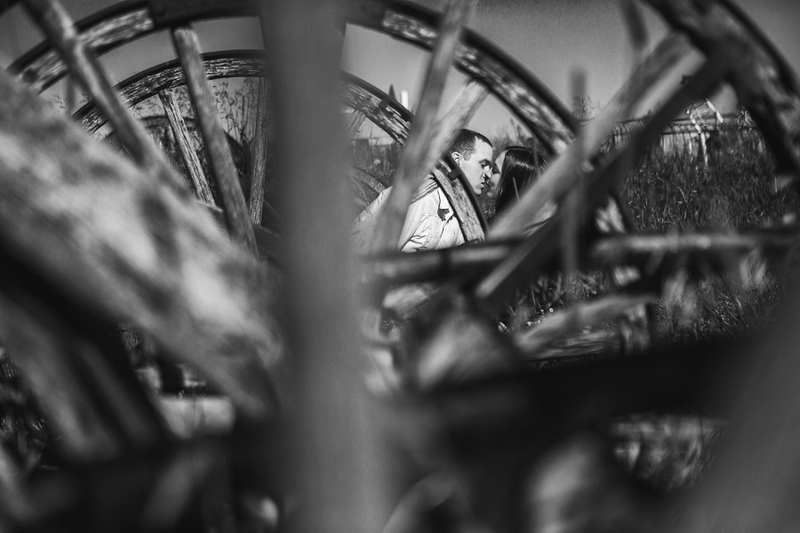 Check out what I mean by the rustic engagement session part in the second half of their Engagement Session photos. The private property is full of really cool abandoned farm equipment and the owner was super kind enough to let us use his area for some shots. 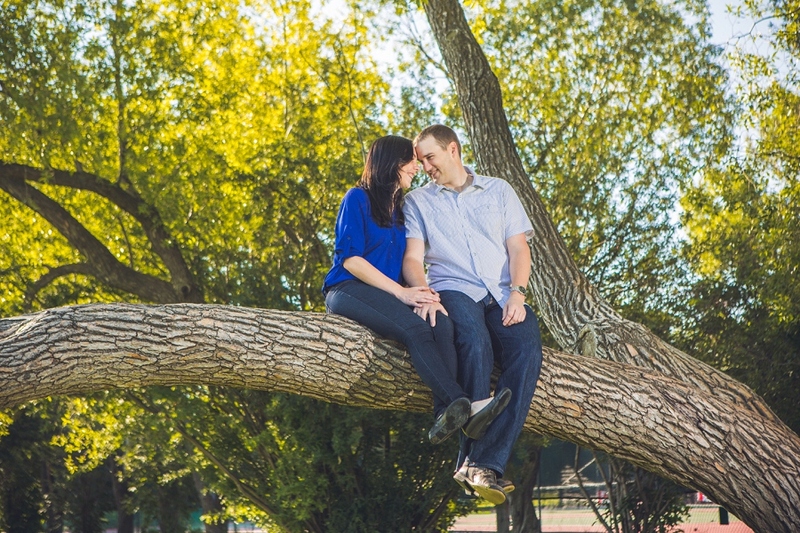 (You may have seen this area in another couple’s session I’ve done almost 3 years ago. I love any chance to get to use this spot, hopefully without wearing out my welcome, of course.) 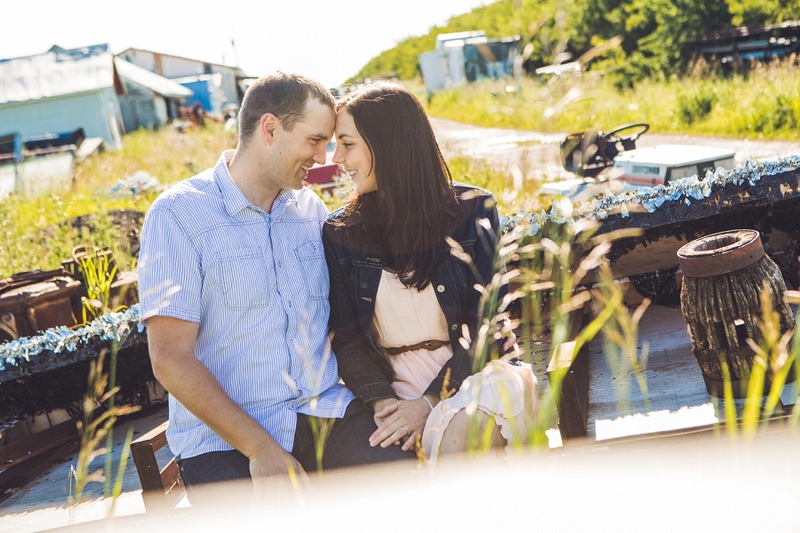 Such a perfect place for a rustic engagement session! And I absolutely adore Aline’s choice of dress for this part too – outfit changes during Engagement Sessions are awesome. I also hope it won’t be yet another 3 years before I go back to this fantastic spot! Haha! For the first half, we stayed at Rotary Park which has one of my favorite views of the skyline and downtown Calgary. Aline and Mike are fortunate to have this area as part of their home and it makes me a little jealous, to be honest. As it turns out, these two love birds have been together for 10 years already – that. is. amazing. What’s even more amazing is just how totally smitten they are with each other still, and not to mention their hilarious sense of humor and sarcasm. Honestly though, we get along just great for those reasons. ;) Not to mention their wedding colors are grey and orange. What an awesome combination! I am super pumped about their (very shortly!) upcoming wedding; if this Engagement Session was any indication of the good times to come, then let the good times roll! Beautiful photos! Could you please tell me: Where was that tree that they are sitting in?